not only encourages exercise during treatment, it uses motion to accelerate recovery! 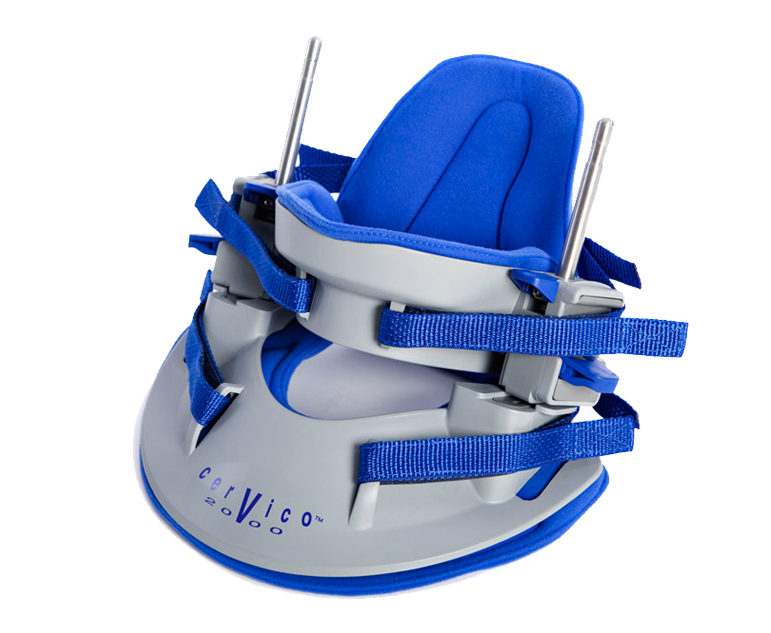 Cervico 2000 is an advanced traction solution for the treatment of acute and chronic neck pain. It combines the benefits of Meditrac’s dynamic 3D traction therapy with the freedom of movement to deliver immediate neck pain relief. Cervico 2000 extends beyond pain relief to target the actual cause of the pain. In effect it stimulates healing by performing both symmetric and asymmetric traction to the cervical spine. 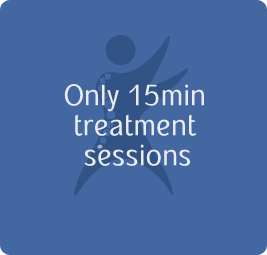 As a result the treatment reduces the pain caused by acute injuries including herniated discs, torticollis and whiplash. Research shows that fluid exchange is vital for recovery. Both of these conditions occur only when the spine is in motion. In other words, the Cervico2000 ‘Traction on the Move’ solution treats the cause of you neck pain, not just the symptoms. 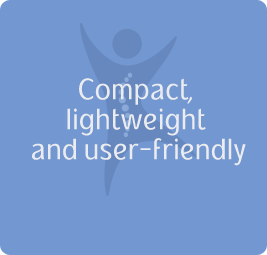 Cervico 2000: As a patient using the Cervico 2000 I am very pleased with the non-intrusive results it provides. This wonderful device is easy to use and maintain. 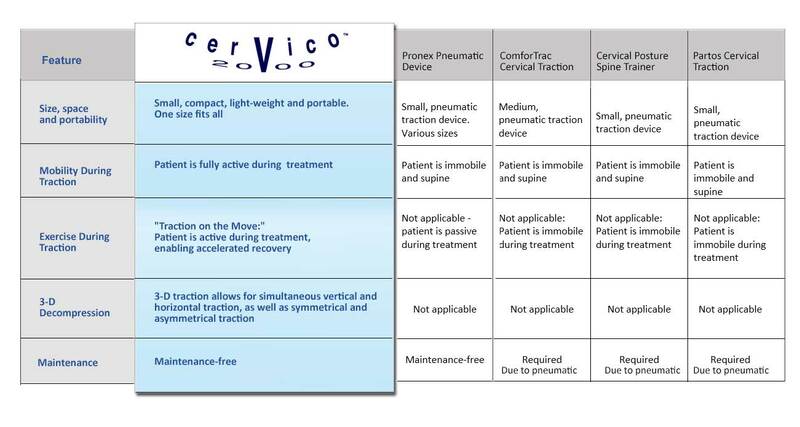 I recommend that those with cervical issues use the Cervico 2000 as directed before considering surgery. Dr. Grober and his team worked with me over a few months and the results were immediate and continual. 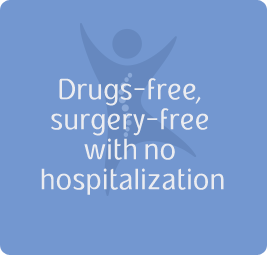 With a proper schedule of treatments and follow-up visits, as needed, I had lasting positive results for my cervical issues and was able to avoid surgery. Moreover, I purchased one in order to have relief at home. I would like to take this opportunity to thank you for your help is trying to provide relief of my pain and neurological impairment with the use of the Cervico 2000 unit. I understand the ramifications of using the unit for a condition which it was not designed…and I appreciate your candor in regards to my specific case. I certainly can voice my disappointment, not with you or your product but in my inability to find a solution to make me feel better. I am convinced your product provides relief and will someday be forefront in the medical field for people with cervical spine problems. I wish you the very best of luck. Thank you again for everyone’s efforts on my behalf. After seeing Dr. Ward for treatment… he suggested I cut the string around my neck and wear suspenders on my apron to transfer the weight to my shoulders instead of around my neck. That really helped, but still the pain just didn’t go away. 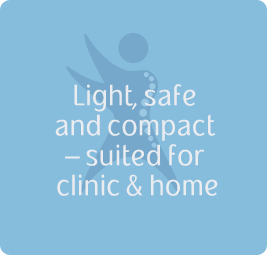 After successful treatment in his clinic … He eventually told me about a product called a Cervico 2000 which was unlike anything else he had seen up to that time. that was … portable, easy to use, durable, and a “real” medical device that could allow customization of my treatment. Although the Cervico was above my reach in affordability… my insurance helped cover a majority of the cost. When I received the Cervico in his office, I was instructed on its use to coincide with my ongoing treatment by Dr. Ward. Improvements were dramatic! I was using it daily and after a period of time I was able to use it 3x a week for maintenance. 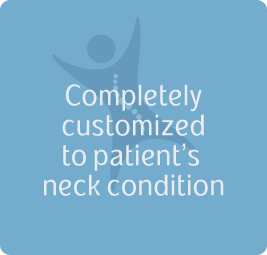 The benefits I obtained were a reduction of 90 percent of my pain in the neck, shoulder, and upper back. The device continues to work well after over 13 years. 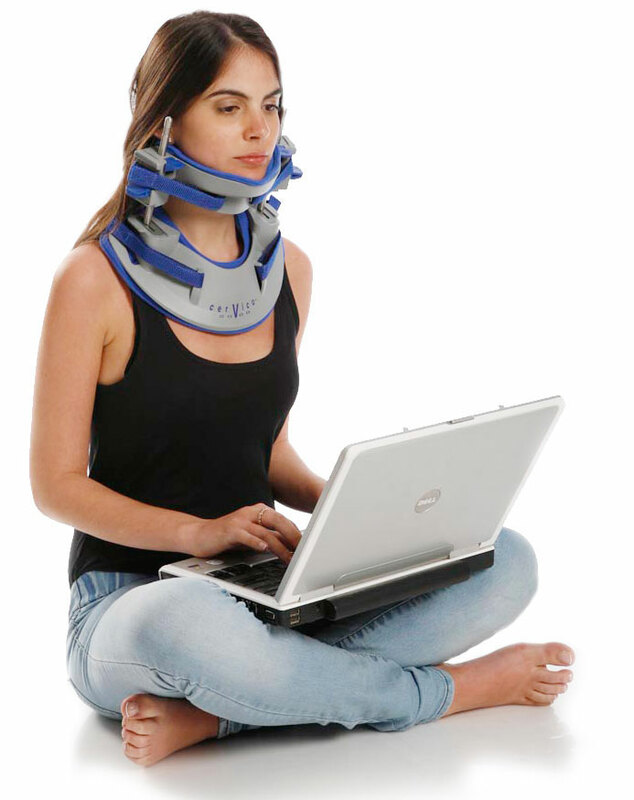 I would suggest that people with cervical problems look for a Chiropractic Doctor that have available this device for sale. I cannot praise the Cervico enough. I wear it when I ride in a car and when I go for a walk, either for exercise or for shopping. I also wear it when flying for take-off and landing. When landing, I brace my whole body with my feet and get in the braced position PRIOR to the actual moment of landing. Twenty years ago, I was traveling at highway speed and my right rear tire came off the rim. A moment, my SUV was upside down and crushed (did not roll) and my head was smashed into the crushed roof. A neurologist told me that the tendons of the muscles that attach to the back of the scull are partially torn from the scull, which makes it difficult for me to hold up my head. I also have two herniated discs, C5, C7 which get inflamed on rare occasions. I cannot pick up any more weight than about the weight of 3/4 liter of water. I have also found that even if I don’t drive or go for a walk, I still need a daily treatment with the Cervico. The Cervico helped me to live!